The choice of whether or not you file a report (with either the University, local police, or both) is yours.Cornell University will not tolerate sexual assault, sexual harassment or other prohibited conduct under Policy 6.4 by or against students, staff, faculty, alumni or visitors. If you have experienced an incident of sexual harassment, sexual assault, or other prohibited conduct, you have the option to file a formal complaint through the Office of Workforce Policy and Labor Relations (“WPLR”) pursuant to University Policy 6.4 or a criminal complaint with campus or local law enforcement. This guide, briefly outlining some of the procedures and resources you should know about filing a complaint against a current employee (faculty or staff) at Cornell University for prohibited conduct under Policy 6.4 including sexual assault and sexual harassment, can be downloaded by clicking this link. 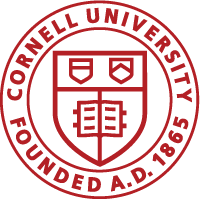 An additional guide briefly outlining procedures and resources that a student should know about filing a complaint against a current employee (faculty or staff) at Cornell University for prohibited conduct under Policy 6.4 including sexual assault and sexual harassment, can be downloaded by clicking this link.